Amãna Bank Vice President – Retail Banking and Marketing Siddeeque Akbar (Left) handing over the sponsorship cheque to Chairman Sri Lanka Gem and Jewellery Association A.H.M. 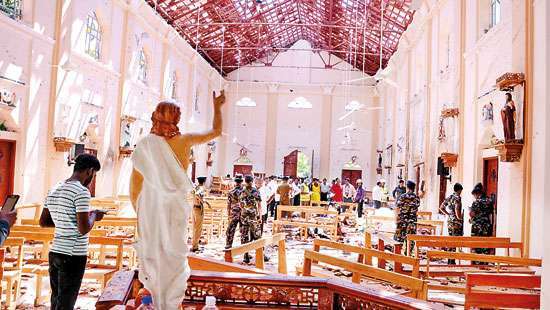 Imtizam, Chairman Facets Sri Lanka Mushtaq Jabir, Hon. Secretary – SLGJA Sheriff Rahuman, Chairperson Export Development Board Mrs.Indra Malwatta and Chairman LPC Rizan Nazeer. 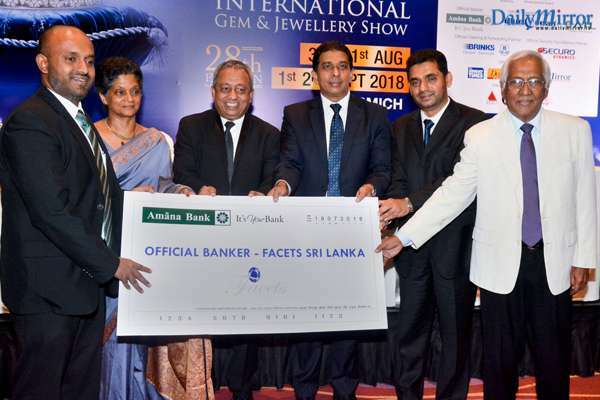 Amãna Bank has joined hands for the second consecutive year with the Sri Lanka Gem and Jewellery Association to be the official banking partner for their annual showpiece exhibition FACETS 2018. Facets, Sri Lanka’s premier International Gem and Jewellery exhibition will be held for the 28th consecutive year from 30August to 2 September 2018 at the BMICH under the patronage of His Excellency President Maithripala Sirisena.